Field is located on the west side of Thorsen Lane about 1 block west of Western Avenue. Parking is available along Thorsen Lane. Part of West Main Community Park located approximately 3 miles west of Randall Rd on Main St. The field is situated on the South side of Main St. Parking is provided on the north side of the park. Field #2 is located to in the South East Corner of the park. 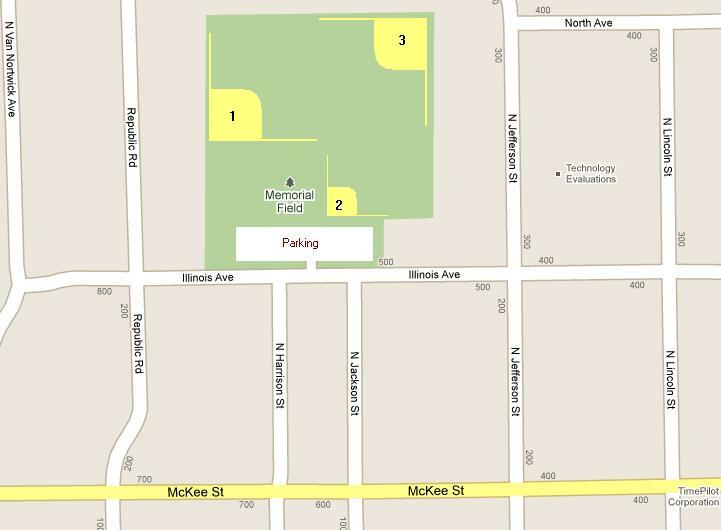 Parking is available off Illinois Ave in the lot indicated below. Field #3 is located to in the North East Corner of the park. Parking is available off Illinois Ave in the lot indicated below. 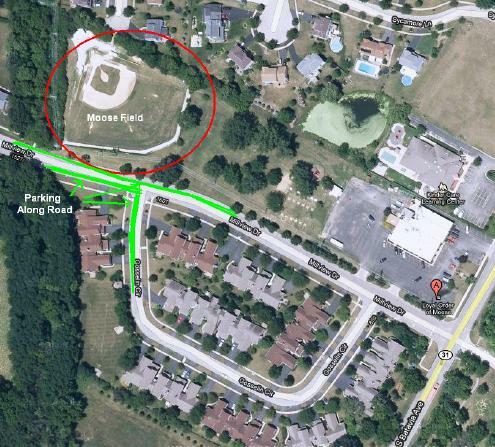 Moose Lodge Field is on Millview just behind the Moose Lodge which is located at 1535 S. Batavia Ave. Parking is available along Millview behind the field. 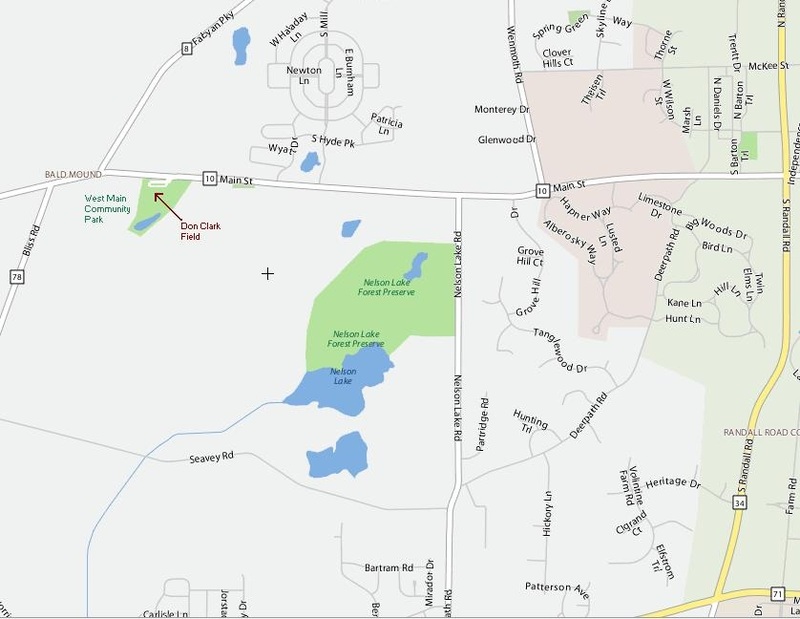 Map will take get you to park entrance. Norm Miller Field is located in the back of Big Woods Park. Follow the road into the park all the way to the far south west corner. 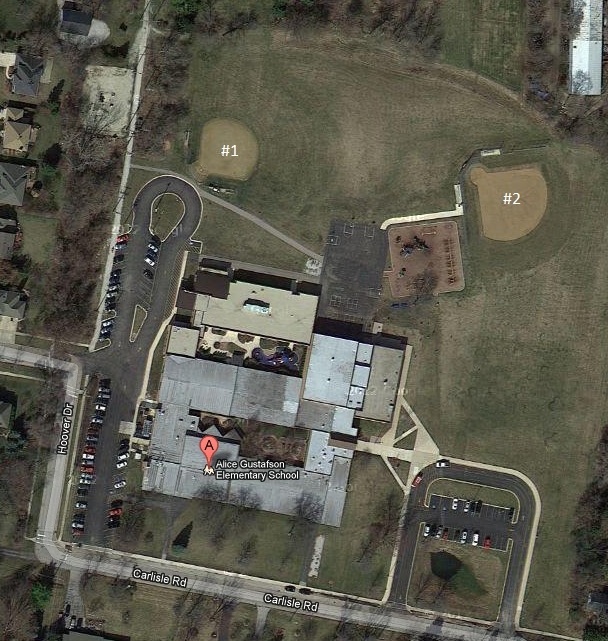 The field is located behind Rotolo Middle School (south of the school). 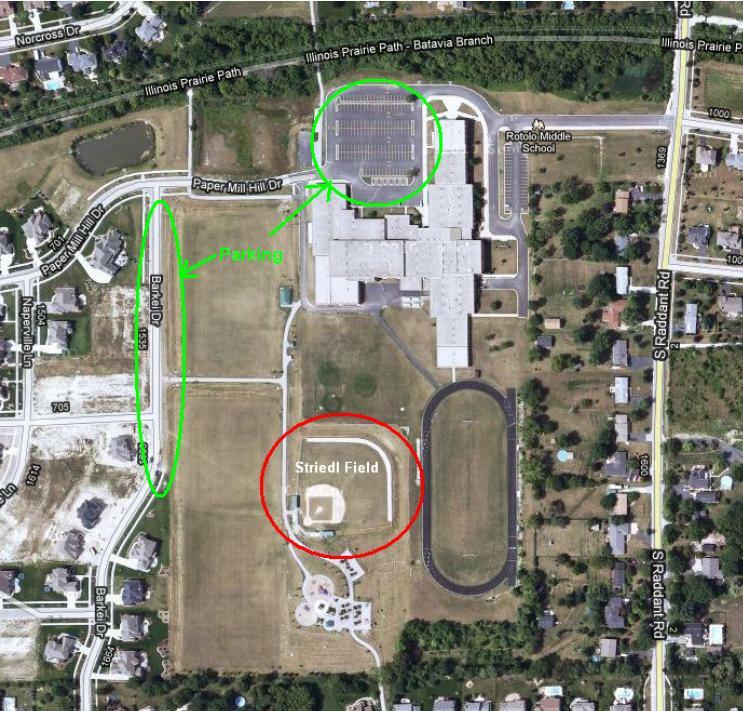 Parking is available in the middle school parking lot or along Barkei Drive as indicated below.